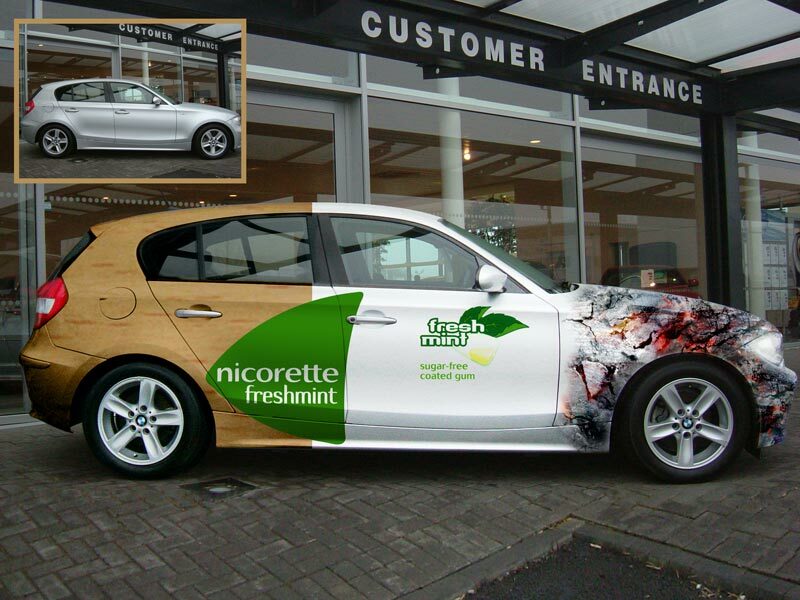 We can digitally place advertising onto cars and other objects so that our customers can see how it would look should they decide to carry out this means of advertising. The original silver car (inset) has been transformed into a full body advertisement. This digital impression can then be given to company that creates the real livery for the car. We can use a photograph that you already have, one we have already taken, or we can take your photo in our studio. Prices for this type of work will vary according to the customer's specifications.